Few business locations of any type can offer the depth of amenities on-site at Symphony Workplaces or in the immediate vicinity. We are located on three high floors in one of Northern New Jersey's premier full-service self-contained commercial office complexes. The center is only a few steps from the center of Morristown-where NJ Monthly readers have voted it the "Best Town" in New Jersey. This combination, plus the diverse first class amenities of Symphony Workplaces make locating your business here an easy choice. Over two million dollars was invested to create what is designed to be Morris County's premier business center. The entire three floor center is upgrade finished from floor to ceiling. It is furnished with contemporary custom wood furnishings and details; imported leather seating and original artwork. For our Client's use there are spacious lounges; premium refreshments; concierge services; fitness equipment; office equipment and every other detail at hand to create the ideal, modern work environment. A "must-see" for those businesses where quality and convenience are paramount. This four building Class A complex is interconnected by an indoor mall and includes nearly every business and lifestyle convenience and service. The base is the luxurious 256 room Hyatt Regency Hotel. Other on-site amenities include an extensive 3000 car secured indoor parking garage; a full service 40,000 sq ft Health Club; a licensed Child Care center; Video Conference studio; a food court plus several rated restaurants; a storefront Laundry drop and even a plush AMC Movie Theater. Headquarters Plaza is located less than 20 minutes from Newark Liberty Airport (NY's largest) with a direct freeway route. 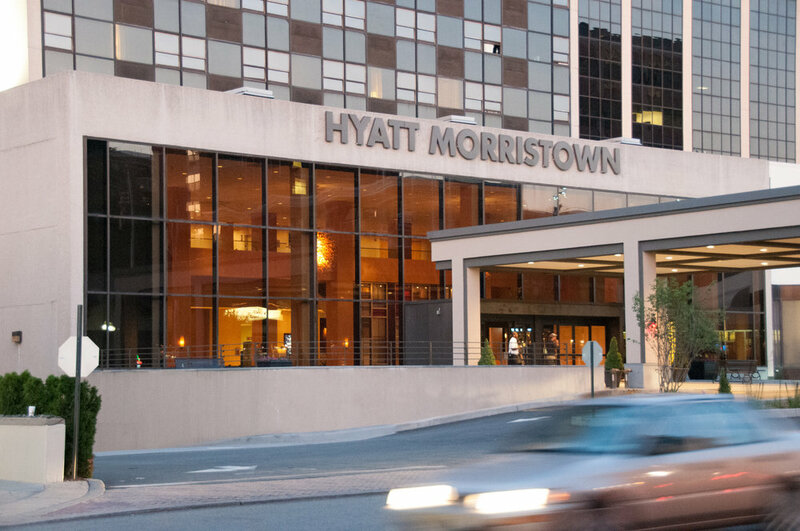 With the diversity of offerings only a short walk away, many overnight visitors to Symphony Workplaces stay at the Hyatt and do not need a rental car. Situated just off the historic Green in the heart of Morristown, Headquarters Plaza is only s short stroll from the County Courthouse, many restaurants, retail shops, banks, library, and more. Currently, Morristown is undergoing an unprecedented growth boom with the addition of several new residential buildings. Headquarters Plaza is also only a short walk from the NJ Transit train station with direct service to mid-town Manhattan. The transportation features combined with the close-in residential, plus the young, downtown vibe in Morristown nightlife makes Symphony Workplaces the ideal environment for "new economy" dynamic businesses. A variety of fresh salads, hot entrees, sandwiches and platters to go is prepared each day.